Editor’s Note: This article was written by Alex Fowler, Professional bike park Builder/Designer and Action Sports Construction LLC Founder. For more information visit ActionSportsConstruction.com. An outdoor activities report conducted in 2014 found that there are over 46 million people road biking, mountain biking, or riding BMX in the United States. That means 16% of all Americans are active cyclists, so why aren’t there more places to ride? Currently there are only about 1,000 municipal bike parks & pump tracks for the general public to ride nationwide. Pump tracks are tracks where no pedaling is required to maintain speed and they can stand on their own or be part of a bigger bike park. That may sound like a lot but is actually a very small number in comparison to the tens of thousands of traditional sport fields like baseball, basketball, or tennis courts that are available for public use. We have a long road ahead before our thirst for accessible public bike parks is quenched, but “even a journey of a thousand miles starts with a single step” and that is where we come in. 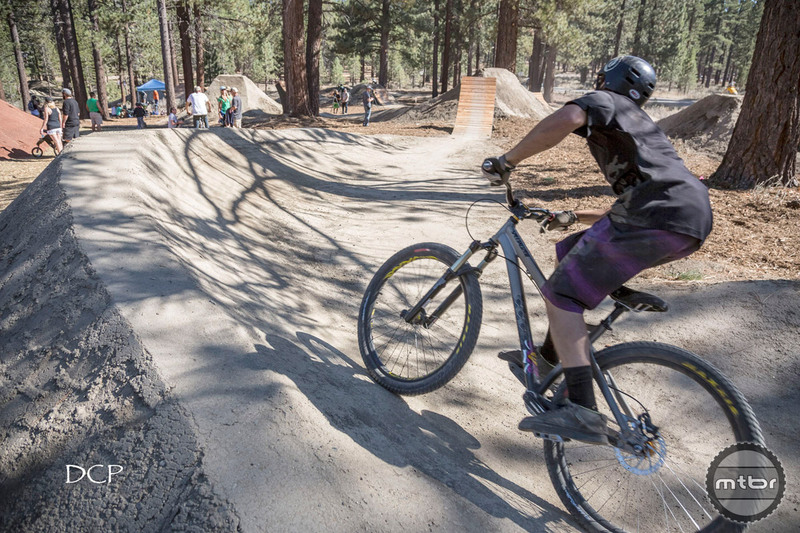 It is up to the cycling community to be on the front lines helping cities start the process of getting a local bike park built, as well as to be sure that the cities racing to build their first bike park build them well. Getting a bike park built in your neighborhood can feel like a daunting task, however it can be done! Municipalities are quickly recognizing that public bike parks are one of the fastest growing attractions in recreational amenities, but it usually takes a spark or an evangelist to get the ball rolling! Here are the steps anyone can take to get a rad bike parkbuilt locally. 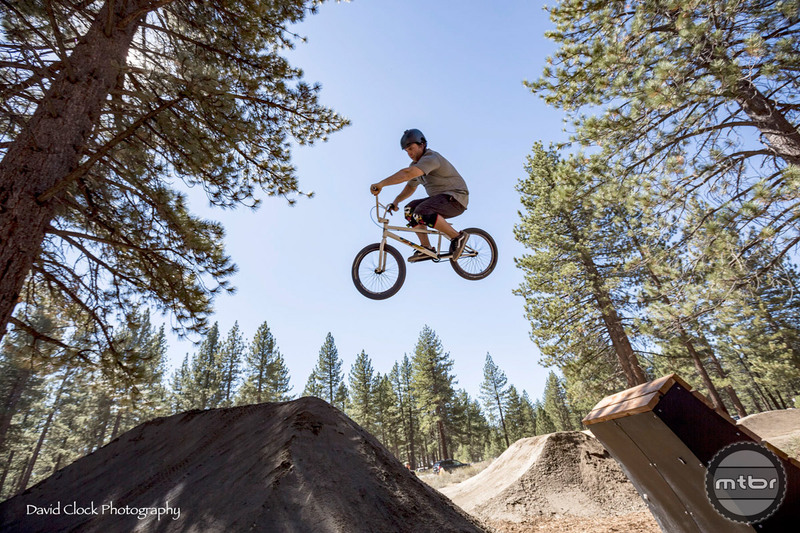 Watch the Bijou Bike Park video below for a behind the scenes video explaining the story of getting a bike park built in South Lake Tahoe, featuring article author Alex Fowler. Video produced by First Track Productions. It won’t just be your park, it will be everyone’s! So get them involved. Before approaching the city, organizing a bike park committee is a really good first step in the right direction. You may be one of the best shredders in town but your committee should include riders of all ages and abilities. You will have trouble convincing local officials that they should use public land and spend public money on a bike park if it does not have broad public support. Demonstrate the benefit for kids and get the parents to take ownership of the project. 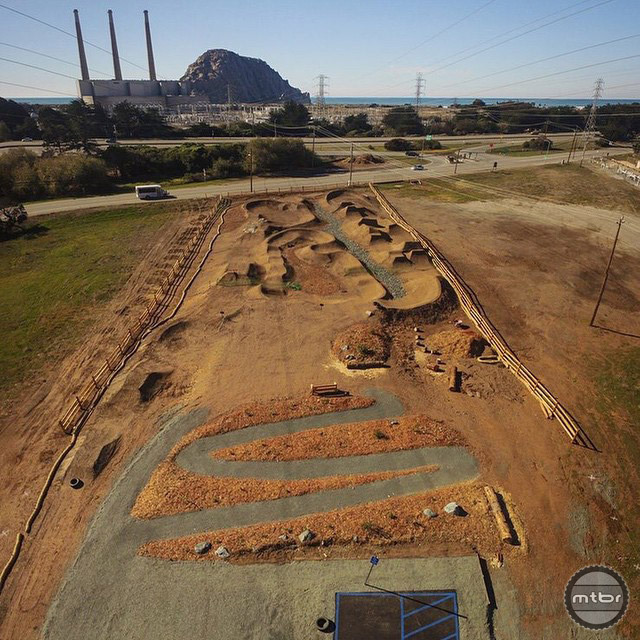 Morro Bay Bike Park in Morro Bay, California. Built by Action Sports Construction (click to enlarge). Reaching out to your local bike shop or other local businesses is also a really good idea; the city will appreciate the beneficial impact to the local economy. Local businesses can also be quite valuable and help provide materials or services towards the project. Another effective way of reaching out to the community is contacting your local BMX track (USABMX.com) or local cycling advocacy chapter (IMBA.com). These types of clubs are typically already organized quite well and they can be helpful through out the process. In order to build your bike park you are going to need space in a public park, which almost always is managed by your local Parks & Recreations department. It is their job to manage the use of public parks so it would make sense that reaching out to them regarding your plans is a good idea. Setting up a meeting with an official from Parks & Recreations is the best way to help them understand the need for a bike park and to help your committee identify the different steps required in the approval process for a project like a bike park or Pump Track. Keep in mind not all cities have the same process. Also for many of you this may be your first interaction with a city official, so be sure to present your self in a respectable manner. I love my worn out Vans, and GT hoodie as much as the next rider but cleaning up a bit certainly won’t hurt. Also try and develop a good relationship with the city officials, because no matter what, it comes down to them to establish the park’s value with the city council and get the bike park approved. In some cases city officials may even be cyclists themselves and want to help expedite the process. Once the need for a public bike park has been acknowledged and city council decides to move forward with the bike park, your group will likely be asked to help find funding for the project. It is more than likely that the city has already spent a lot of money on other sports facilities in the area and because public bike parks and Pump Tracks are a new recreational phenomenon they will probably ask for at least some if not all of the funds for the project to be raised privately. Keep in mind not all funding is monetary, local businesses can help by providing materials or services (equipment, materials etc.) and are valuable sources of donations. Utilizing social media or other online sources is an easy way to allow any one to contribute any amount towards the project. In the end every bit helps and it all adds up, so work closely with your group and be creative with your fundraising! For instance one project I took part in building auctioned off a wall ride feature with in the park, which was painted with the donors business logo. Participants at the park will likely remember a logo which they put fresh tire marks on! Well put! Thank you for the thoughtful solutions. We’re going for it! Newark Parks Foundation (www.newarkparks.org).